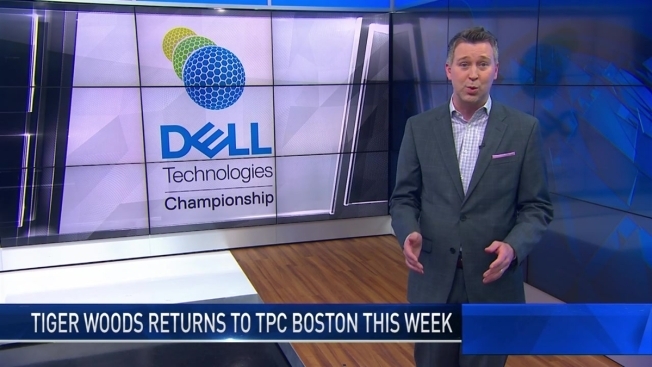 NBC10 Boston sports anchor Raul Martinez offers his opinion on Tiger Woods' chances of winning this weekend's Dell Technologies Championship in Norton, Massachusetts. 42-year-old Tiger Woods is back playing an event in Massachusetts for the first time since 2013. Woods' second-place finish at the 2018 PGA Championship was his highest finish in a major since the 2009 PGA Championship. Currently ranked 26th in the world in the official World Golf Rankings, Woods previously held the No. 1 spot an amazing 683 weeks. In the figurative sense, the 14-time major winner – second only to Jack Nicklaus and his 18 major titles – is as close to being “back” as he’s been since winning his last major championship, way back in 2008 at the US Open at Torrey Pines in La Jolla, California. His second-place finish at the PGA Championship held Aug. 9-12 at Bellerive Golf Course in Missouri was his highest finish in a major since the 2009 PGA Championship, when he finished second behind Y.E. Yang. The loss to Yang marked the first time in Woods’ career he failed to hold the lead at a major after 54 holes. It was also the last major he played in prior to the November 2009 domestic incident in his driveway and back injuries that led to the dizzying downfall of the preeminent 21st-century golf icon. After not playing in a major tournament at all in 2016 or 2017, Woods didn’t get off to a great start in the 2018 major season. He finished a lowly tied for 32nd at Augusta in The Masters and missed the cut altogether at the US Open in June. Woods can’t add a major to his mantle this weekend, of course, but he can continue his somewhat improbable late-career surge back to relevance with another strong performance. Winning in Norton – or better yet, going on to win the FedEx Cup, something he did in 2007 and 2009 – would continue to captivate the golf world and get the countdown going to the 2019 Masters in April. 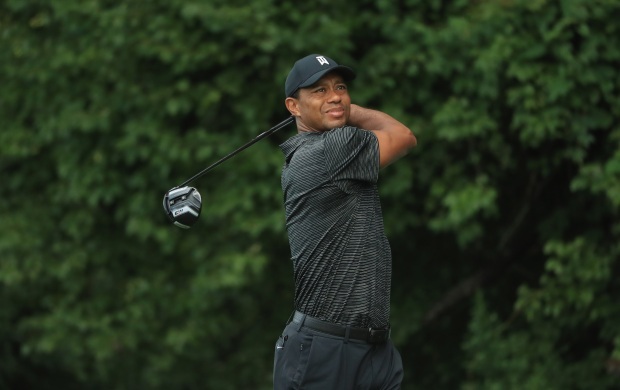 Winning this weekend would continue a hot streak for Woods that truly began at the British Open in July, when he finished tied for sixth but held the lead briefly in the final round. It was a star-studded leaderboard across the pond, with Rory McIlroy and Justin Rose among the notable names to finish in front of Woods. Francisco Molinari won the tournament at Carnoustie Golf Links in Scotland. Currently ranked 26th in the world in the official World Golf Rankings, Woods has held the No. 1 spot an amazing 683 weeks – a record, as well the 281 consecutive weeks he once held the top spot – in his career. Even after his last major title in 2008, he climbed his way back to the No. 1 ranking, something he held as recently as May 5, 2014. His current mark is his highest since being 25th in the Dec. 7, 2014 batch of rankings. Dustin Johnson is the current owner of the top spot. In the meantime, Woods sank well into the 1,000s, leaving legitimate questions about whether or not he’d ever compete on tour again. His last win in any tournament remains the 2013 Bridgestone Invitational. Woods won’t be officially back until he captures that elusive 15th major title, bringing him within three of Nicklaus. But winning a playoff round beforehand, coupled with his two most recent finishes in majors, would be the next best thing. Tiger is officially on the prowl, if nothing else.